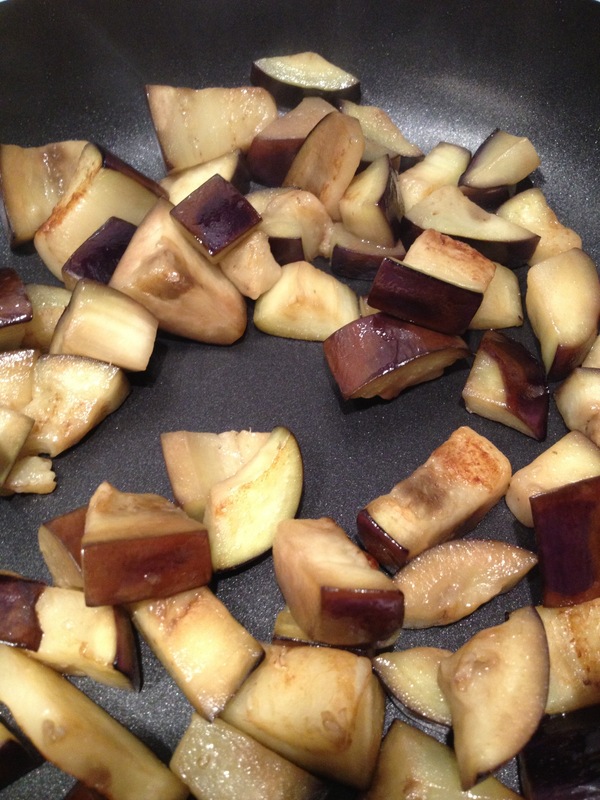 I am a little obsessed with aubergine. Ever since I discovered I like it, I try to make it as often as possible, as I am quite fussy with vegetables and have to make use of the ones I actually enjoy! This recipe is another one from ‘Indian in Six’ and is incredibly quick to make. The wide array of flavours go so well together, I was absolutely amazed at the result, particularly when you consider how few ingredients there are! Fresh curry leaves are sometimes hard to find, so when I discovered them in an Indian supermarket a few days ago, I pounced upon them. I then put them straight in the freezer, as they freeze very well and can be used straight away. In the same pan, add another 2 tbsp of oil and add the turmeric and chili powder. 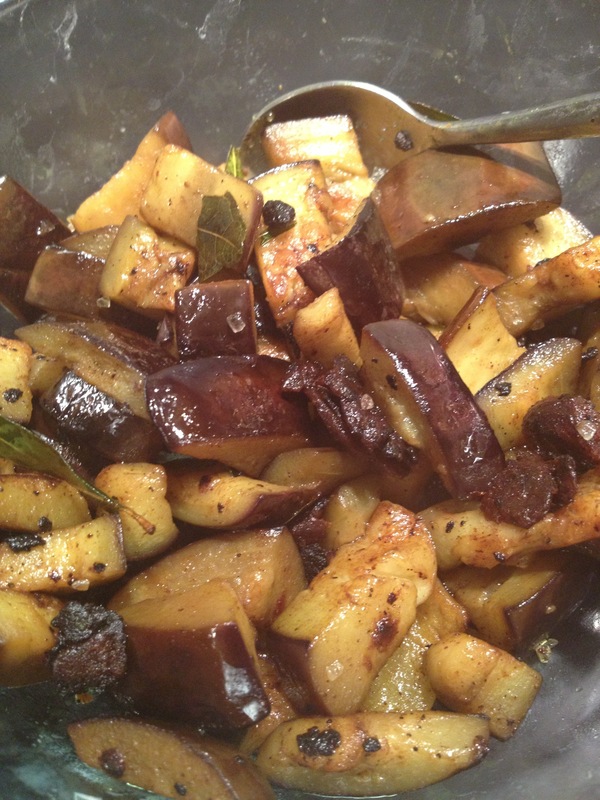 Almost immediately, add the tamarind paste, sugar, salt and curry leaves until it becomes a nice paste. Add the aubergine back in and stir for a couple of minutes. Serve hot. They did taste amazing! The colour comes from the turmeric as well, and I made sure not to fry them to a pulp to keep the shape. Thanks for the comment! It is so yummy 🙂 Let me know how it turns out!